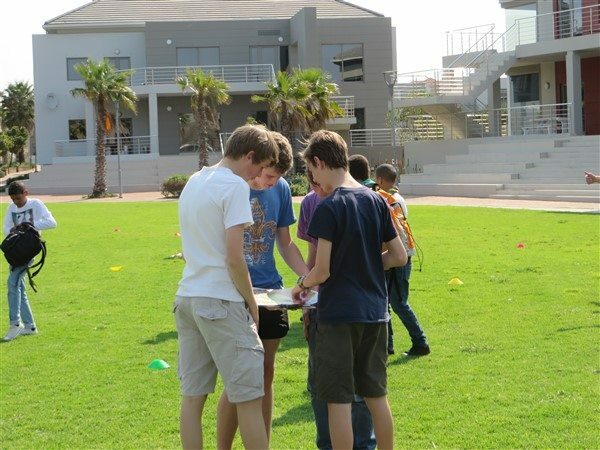 For the first time in 3 years we entered the Regional Orienteering competition which this year was held at Century City. We entered 4 junior teams and 2 senior teams and were certainly one of the biggest troops present. The competition required, rather disappointingly, minimal map work and relied more on physical fitness than on the combination of map work, compass skills and physical fitness that usually characterises orienteering. Although the ability to work out the sequence of points to get to was a skill to be acquired, we would have liked to see more reliance on mapping and compasses. Be that as it may, our teams took part enthusiastically which was good to see. Our senior teams came 2nd in the senior division and overall we came 3rd. This is an excellent result which, if nothing else, shows that we have enthusiastic and committed scouts who are prepared to try out new scouting activities.